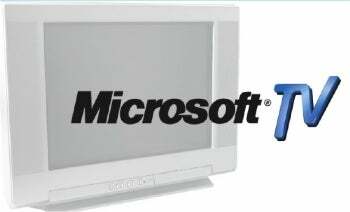 Microsoft 'Xbox TV' Channel in the Offing? The PlayStation may have Major League Baseball, but the Xbox 360 could soon land its very own television channel, reports Bloomberg. No, not something agnostic like G4TV or another option in local cable packages, but something exclusive to the Xbox 360 itself. It seems former Fox Entertainment Group CEO Peter Chernin chatted with Microsoft in April about creating a new TV-like subscriber-service, going so far as to suggest hiking Xbox LIVE fees a buck or two monthly to offset programming costs (Microsoft's premium level LIVE service costs $50 a year currently). Bloomberg notes the channel would probably offer "reruns and original shows" in an effort to get viewers to pay for web-delivered films and TV shows. The pitch appears to have originated with Chernin, and the ball is now apparently in Microsoft's court. Chertin's also the guy who pitched the idea of an Xbox 360-based presence to late night comedian Conan O'Brien. O'Brien surprised everyone by sidestepping Fox and opting instead for cable-based network TBS. What do you think? Would you pay $1 or $2 a month on top of $50 a year for the option to watch reruns and original programs through your Xbox 360? I might. But only if Microsoft drops its pay-for-multiplayer LIVE requirement, and splits legitimate for-money services like Netflix, parties, early demo access, or this hypothetical TV channel off from features that ought to cost nothing, like voice chat, online matchmaking, and competitive play.